Kingston upon Hull, or Hull as it is usually called, is a city in Yorkshire on the northern bank of the Humber Estuary. In 2017, Hull celebrated its status as the UK City of Culture. Much money has been spent on regenerating the city centre in time for the celebrations and there are many cultural events all over the city which has seen a huge boost to tourism, jobs and the economy. It is a city that has truly reinvented itself and our Burland excursion guests have all been surprised at what a cool place it is. Kingston upon Hull is steeped in history. Originally founded by monks as a port in the 12th century, Hull was an important thoroughfare for centuries, first in the wool trade and later in the fishing/whaling industry. 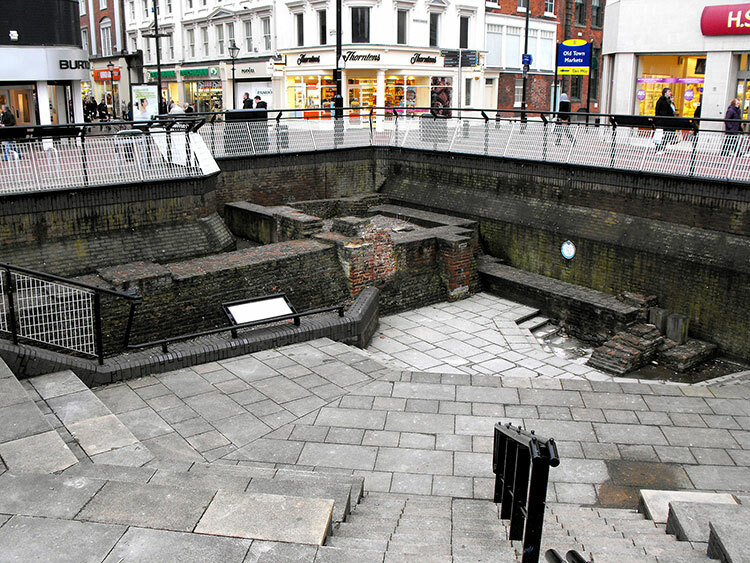 Visit the remains of Beverley Gate where, in 1642, Sir John Hotham refused Charles I entry to the city, an act of defiance widely acknowledged as the spark that ignited the English Civil War. Other places of interest include Hull’s Old Town, Queen Victoria Square, and the Fruit Market to Kingston upon Hull name but a few. The architecture and buildings are stunning. Free museums are typical throughout the UK,but in Hull ALL the museums are free. And there are some pretty good ones, too, like the Ferens Art Gallery, the Hull and East Riding Museum (full of history), and the Wilberforce House. A favorite Hull museum is the Streetlife Museum, which is part transport and part history museum. Inside you’ll find Victorian-style street scenes, as well as old trolleys, buses, cars, and even bicycles. There is art and culture everywhere – the 2017 award has seen the city double its efforts. Many of the shops are individually owned rather than high street chains, which adds to the charm. Oh, and it is littered with café’s, public houses and restaurants, offering huge choice at extremely reasonable prices. Afternoon tea at the prestigious Royal Hotel is only £13.95 a person! Enjoy.